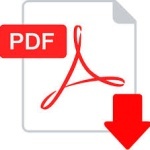 Automated Portfolio Surveillance - Upload a list of CUSIPs and Bitvore will alert you to material news in those issues. 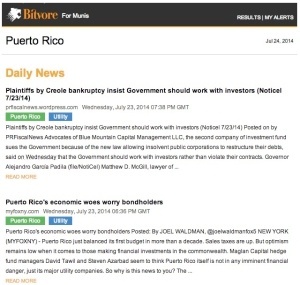 Bitvore automatically figures out the obligors and issuers of the CUSIP and keeps the news focused on your holdings. Lookup any Issue - Type in a name or CUSIP and Bitvore will find the recent news impacting the specific obligor and issuer. Bitvore paints a 360-degree picture of the situation including related local economic and sector news. Lookup is ideal for instant awareness needed in time of trade research and compliance uses. In addition to these highly requested features, Bitvore for Muni dramatically expands the available and relevant news in the system. 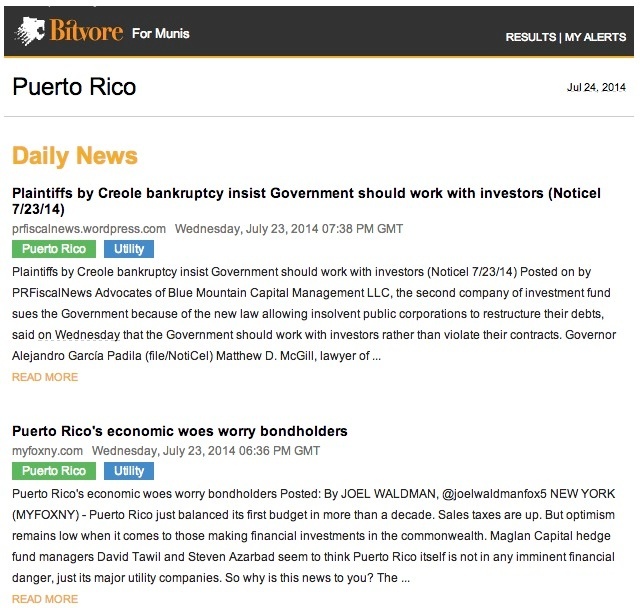 With the goal of spanning the breadth of muni news from the largest to the smallest issuers, from state to local governments and 58 sectors from airports to hospitals to higher ed, Bitvore is now monitoring over 6,500 online sources to find materials news discussing 308 different material situations that impact the ability to pay and credit-worthiness. The coverage of Bitvore has increased from 2,300 sources and 160 material situations just 90 days ago. Not all news is relevant news. You don't want alerts full of irrelevant articles. Bitvore's false-positive suppression is the best in the industry, removing over 80% of the irrelevant news so you can focus on the important changes in your holdings. It's time for the industry to have an easy way to know the important news impacting munis, especially your own portfolio. Now Bitvore for Munis 2.0 saves you hours each day staying in front of bonds that are increasing or decreasing in risk. Free trials are available. Find out what you are missing with our no obligation trial and try the full capabilities of Bitvore for Munis.